We at St Louis Corporate Housing, specialize in facilitating fully furnished corporate apartments at affordable rents. Furnished corporate housing and apartments be a second home for people who look for temporary accommodation at prime location for short as well as extended stays. You might need this temporary apartment due to several reasons like home renovation, searching for new homes, to attend a friend’s wedding or staying for even a semester. It can be uneasy and very costly for extended stays in hotel rooms because there are limited facilities and per day expenses are quite high. Staying in our Luxury Extended Stay Apartments that have mostly all the amenities of home, at lesser rents. This makes these apartments cost efficient and favorite of all. 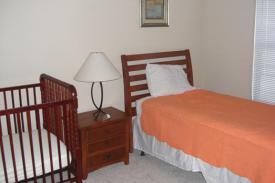 We at St. Louis corporate housing, offer fully furnished apartments in prime location of St. Louis area. You can count on us as we are born and brought up here and know the location thoroughly.